If you are an email marketer you will be familiar with AB testing but for those who are new to email marketing, it does not ring a bell. My email campaign call to action would work or not? Will it be attractive to the customers? Will it have a high open rate? Don’t trouble yourself with this thoughts because with Taximail you can run an A/B testing for your email campaign to see which one appeals to your customers. A/B testing is a method of comparing two versions of your email campaign against each other to determine which one performs better. AB testing is essentially an experiment where two or more variants of a campaign to users at random, and statistical analysis is used to determine which variation performs better for a given conversion goal. Most prudent email marketers use newsletters to get new customers and engages their loyal customers. This is a good way to grow your list. This is more economical and organic way of retaining customers and getting new ones. Subscribers have already done some business with you or they want to receive information from you. This is more economical to retain customers than trying to get a new one. The loyal customers will remain to do business with you continually. That’s why A/B testing is a good way to help you improve conversion rates especially if you’re trying new format or techniques. The result will be different according to what you will test. For examples, your CTA will have a direct effect on the number of people who will buy your product or click through to your landing page however your subject line will impact directly the number of people who will open your email. You should think first about what you want to test: If people don’t open so much your email, you should test the subject line then. You have to prioritize your test to get the favorable results. Says, if your priority is the conversion you should test the headline and call to action firstly then the body text and the images secondly. Test all your list or just a part? Mainly you’ll want to test your whole list to get an accurate representation of how your email list should welcome your email campaign. However, there are some examples where you shouldn't choose to test your whole email list. if your email list is really huge and your service provider charges you by email addresses. Test your email list with a large sample by selecting randomly to get accurate results. In general, the result will be more accurate if you run your test on a large sample. Before sending your email campaign, you should decide what you will test and determine the success criteria. For example, if your campaign got an email open rate of about 10% you may want to improve it to 15% and change this campaign or emails you were using for months or years. Take a look at your previous open rate and take the decision about how much you want to increase it. if you can’t see improvement with one A/B test run another test with 2 more versions. Tracking the first 2 criteria is quite normal but why we would track a conversation rate on the website. Actually, the email you send has to correspond to your website via the conversation rate. Indeed your message delivered in your email should be uniform with the message on your website. For example, you’ll lose customers if you are offering a special deal on your email and that deal is not on your website. Consistency is the key. How does it work on Taximail? When you create multiple campaigns that share the same goal of sending a promotional campaign and target the same audience. Or comparing multiple versions of the email according to different factors such as subject line, call to action or images to see which one perform better. You can set how to determine the winner. It is very easy to manage by running an A/B testing, you will see which design, keywords, headlines or content gets the best response. We can specify in the system to send 10% of all email delivered to the test. The test period is can take approximately 3-4 hours to reach the deadline. The system will determine which email open rates is higher then send an email to the recipients of the remaining 90% immediately. This will be a test of which email subject line that would appeal or make your subscribers click. What are some A/B Test bestsellers to run in emails? It would be a good practice to start small. You can run a test with two variations and try to change one variable at a time so you can interpret which variable influenced the result. With Taximail you can use variations when you make A/B Testing. 1 Collect Data: Your analytics will give you insights into where you can begin. It will help with the traffic areas of site or app that will allow you to gather data faster. 2 Identify goals: The conversion goal is the metric that you can use to determine whether or not the variation is more successful than the original version. However, you set it. 3 Generate Hypothesis: Once you have identified your goal then you can begin to test your A/B testing ideas. 4 Run Experiment: You can start your test and wait for the for your recipient’s participation. Their interaction with each experience is measured, counted, and compared to determine how each performs. 5 Analyze Result: Once the test is complete your A/B testing software (Taximail) will present the data from the experiment and show whether there is a statistically significant difference. This creates Validation of product from your customers. Whatever the outcome of your A/B Testing, use this experience to inform future tests and continuously improve your email campaign. 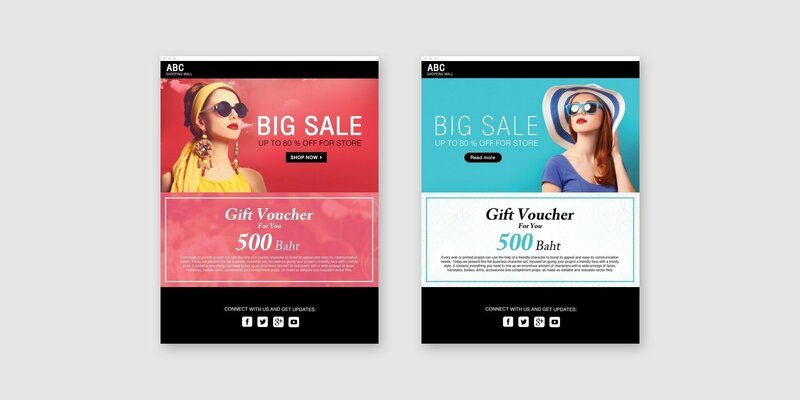 You’ll gonna be spending time testing your email campaign but the result will be to your advantage.